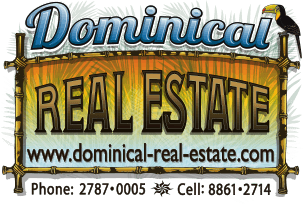 3.52 ACRES - 5 Bedroom Home with Separate Guest House and Huge Ocean View 10 minutes from Uvita!!! Get a birds' eye view of the breathtaking Pacific coastline from this luxury home just a few minutes behind one of southern Costa Rica's most vibrantly growing communities. If you want a permanent residence, this is a beautiful option. If you want rental income, this home appeals to the luxury market. If you want to raise kids in a different country to expand their global awareness, this home is minutes from international schools. There are two homes on the property. The main one is a large, open home designed to impress with a big kitchen, "wow" master suite, two other bedrooms and a large living area that blends the open kitchen, dining and living areas. That space transitions right onto a patio area and the infinity pool, making it the best in Costa Rican indoor/outdoor living. The second residence is a 2-bedroom house where overflow guests could have their own private space including their own kitchen. It could also be used as a rental property for either short term or long term rental. Or switch it up and stay in the smaller home while you rent out the larger one for a premium price to vacationers. Positioned at the end of the road, the property enjoys complete privacy and is surrounded only by the best of Costa Rica's views and wildlife. Breezes coming off the ocean and mountains refresh you and diminish the need for artificial climate control. Throw open the doors and windows and breathe deeply of clean, cool air. You are in complete privacy but part of a community of people who share the mountain. If you'd like the next chapter of your life story to include exploration, discovery, reflection and serenity while having space to interact with interesting new friends from different regions and countries, this home provides all of that. A 10 minute fun ride on an ATV or in your car gets you to grocery stores, beaches, banks, restaurants, coffee shops and a community that is developing and growing.